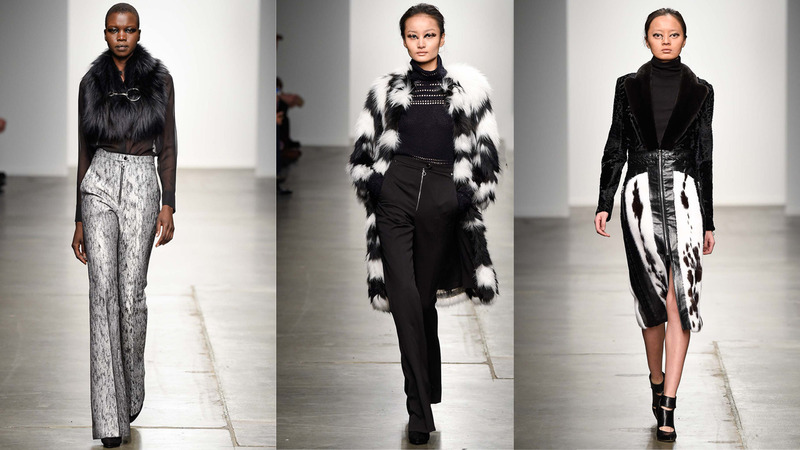 Overall: Brandon Sun for his Fall/Winter collection showed that he's a multifaceted designer. Her can deliver a well tailored pants to to feminine dresses. However he never wavered from utilizing fur in this collection. Fur shawls to fur caps on the sleeves on the majority of the outerwear. My favorite look was the see thru raincoat with fur trim hoodie.